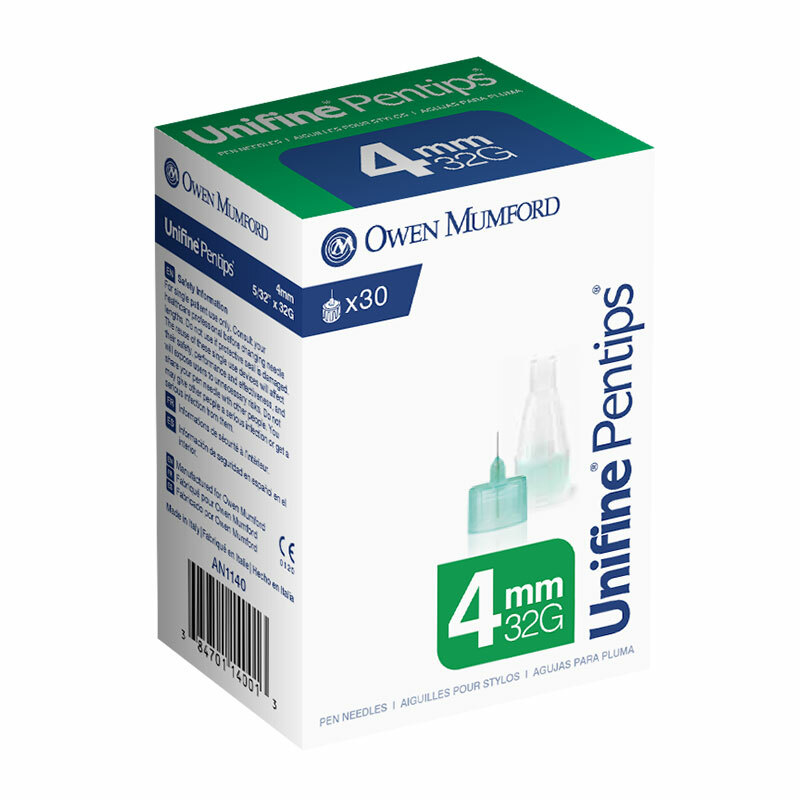 The Unifine Pentips by Owen Mumford are triple sharpened and have a unique silicone lubricating coating for maximum comfort. These universal needles easily fit into virtually all delivery pens, including the Autopen. 4mm x 32G. Ref # AN1140. Box of 30 pentips. The Unifine Pentips by Owen Mumford are triple sharpened and have a unique silicone lubricating coating for maximum comfort. 4mm x 32G. Ref # AN1140. Box of 30. Triple Sharpened - This allows optimal injections with added comfort.